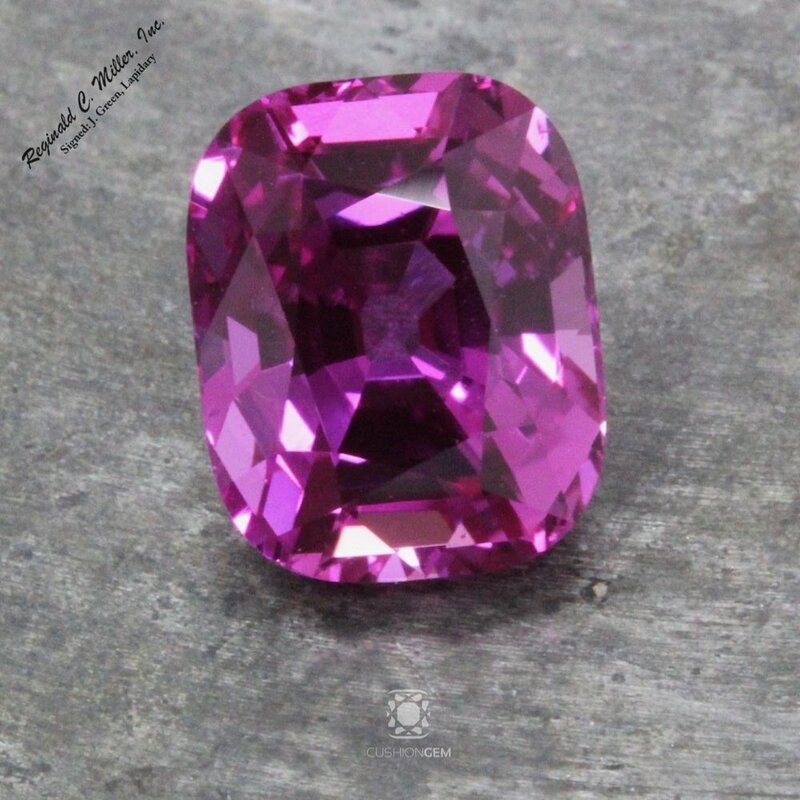 The art of gem cutting is alive, well and thriving in the workshop of Reginald C. Miller Lapidary where Jerrold Green, proprietor and master cutter continues to shape the great gems of our century. Green's signature style reflects a joining of what he was taught by his mentor, Reginald Miller and what he has learned from nearly 4 decades handling the finest of colored gemstones for the global trade elite. Mr Miller would often remark that "...you're only as good as what you've been permitted to see," and Green's advantages as a gem cutter are compounded by not only what his mentor revealed to him but his own innate artistic abilities. Discover what industry leaders have to say about Green's talent in the video below and see for yourself in the before/after study below why gems cut by this artist continue to break auction house records worldwide. 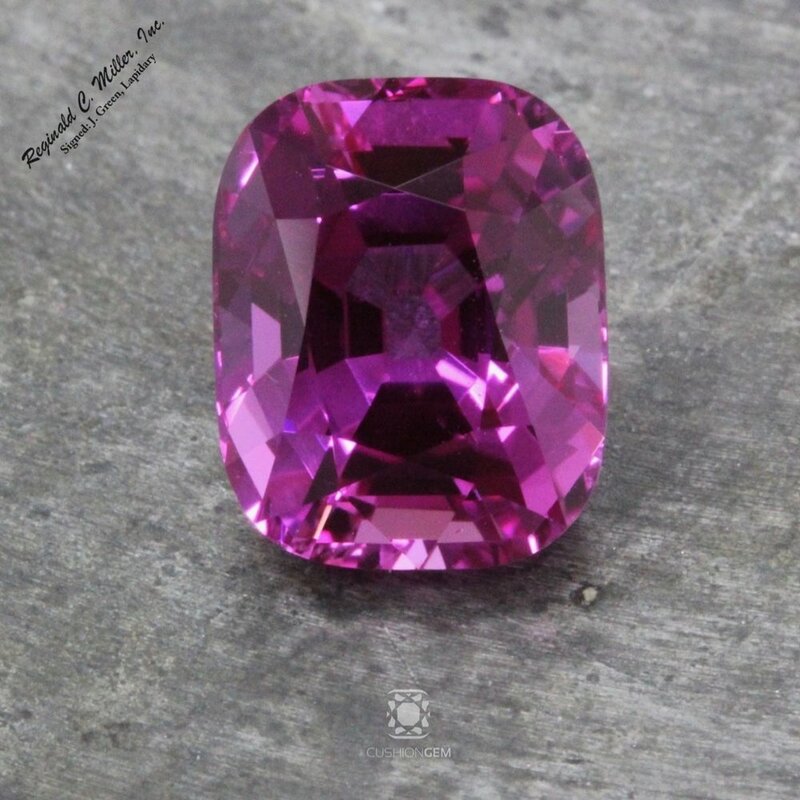 Cushion Gem is proud to be the exclusive distributor of gems "signed & cut" by the venerable lapidary. Will the gem's windowed empty center table area close? (Yes, it has closed). Will the gems color improve and disperse evenly through-out the gem? 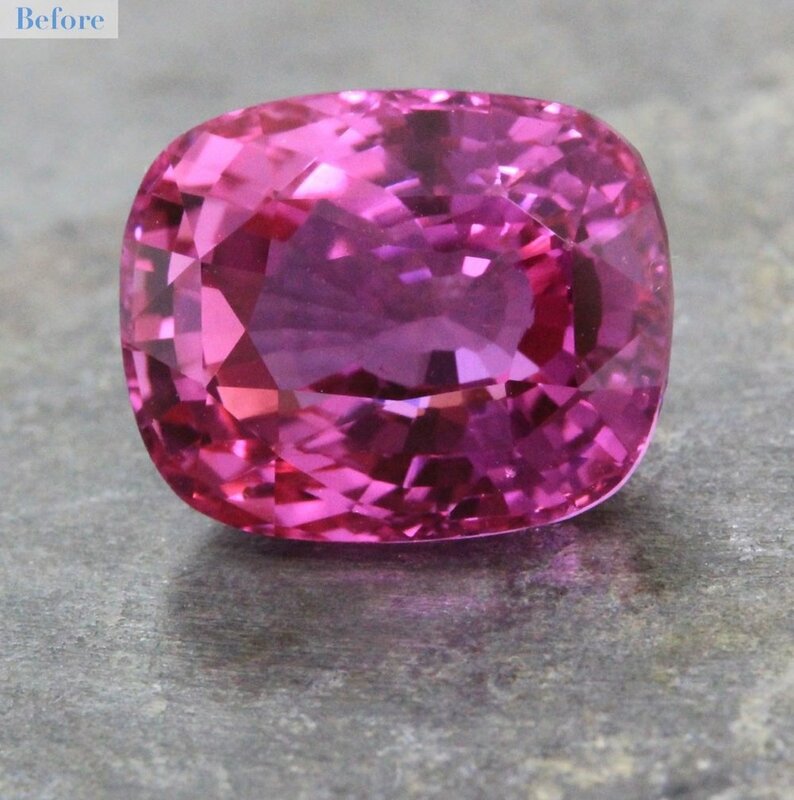 (Yes, color has improved evenly through-out the gem). Can the gem's off-center pavilion be either lessened or mitigated entirely? (Yes, the gems pavilion is as close to center as the material will allow). Will the gems brilliance be enhanced? (Yes, it now grouped, orderly and elegantly symmetric versus the random uneven sparkle associated with native cut gems). 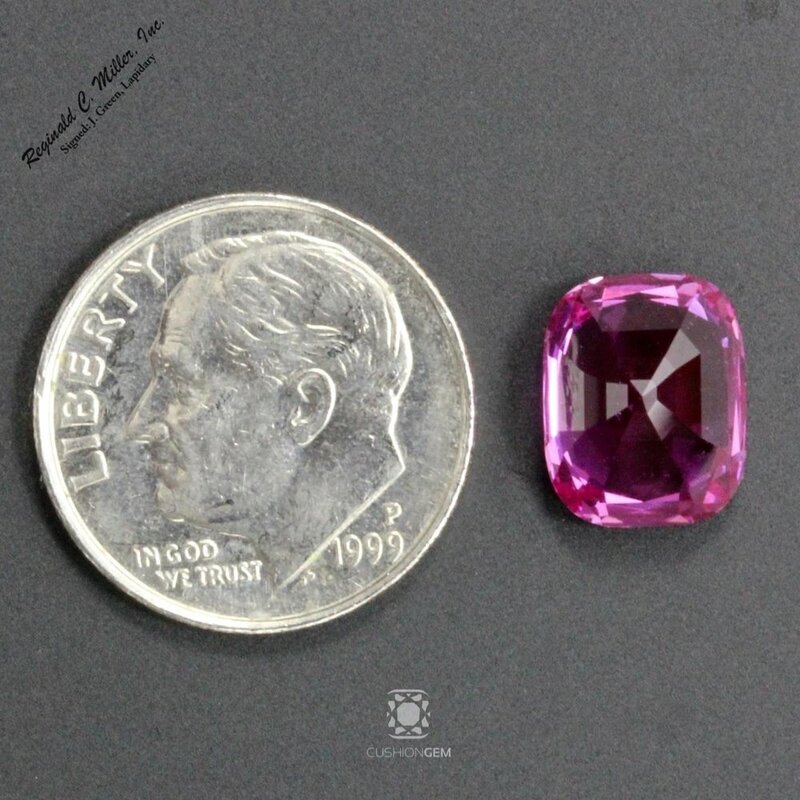 Visit this gemstones product page to get the CherryScore™ for our concise review of this remarkable pink sapphire "signed & cut" by Jerrold Green here.